Today was unable to build on the nascent two day bounce, losing ground and pushing in on Monday's lows. The S&P is trading back at its 20-day MA with 'sell' triggers in the MACD and On-Balance-Volume. Not surprisingly, relative performance has pulled back but is still well ahead of its peers. The Nasdaq is also trading at its 20-day MA with a MACD 'sell' trigger. The Nasdaq has been trending higher in relative performance against the S&P, but is on course for a shift back in favour of S&P. 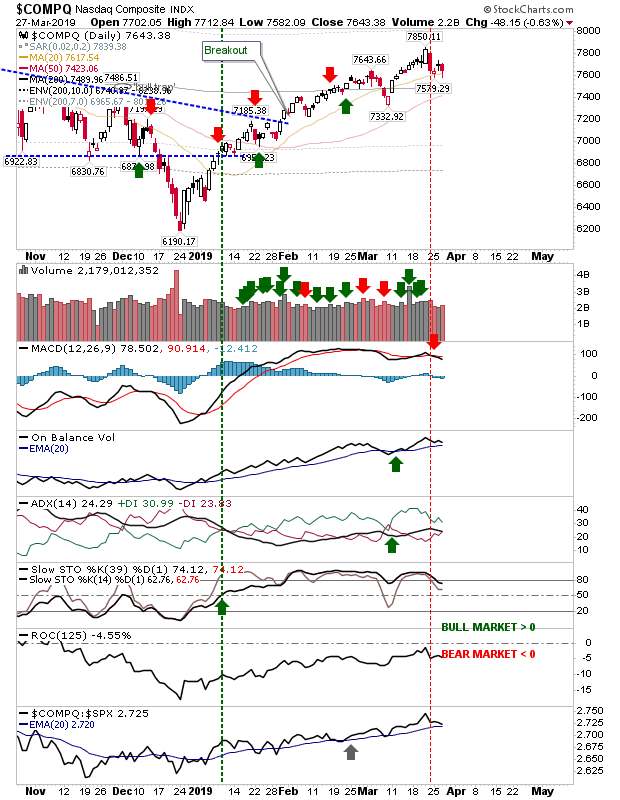 The Russell 2000 was able to close with a bullish 'hammer' which might actually help it in the days ahead, although the index is trading just below its 20-day MA. 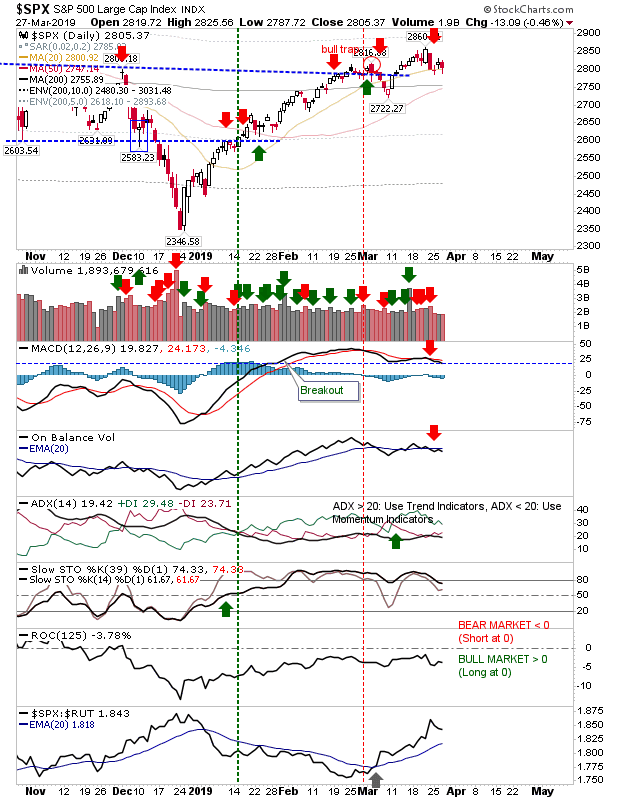 This is the most oversold of the three lead indices (but not technically oversold) but this is best set up for a bounce, which I have marked on the chart. 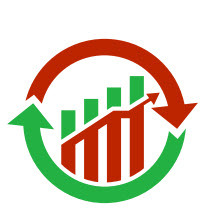 Stops go on a loss of 1,505. 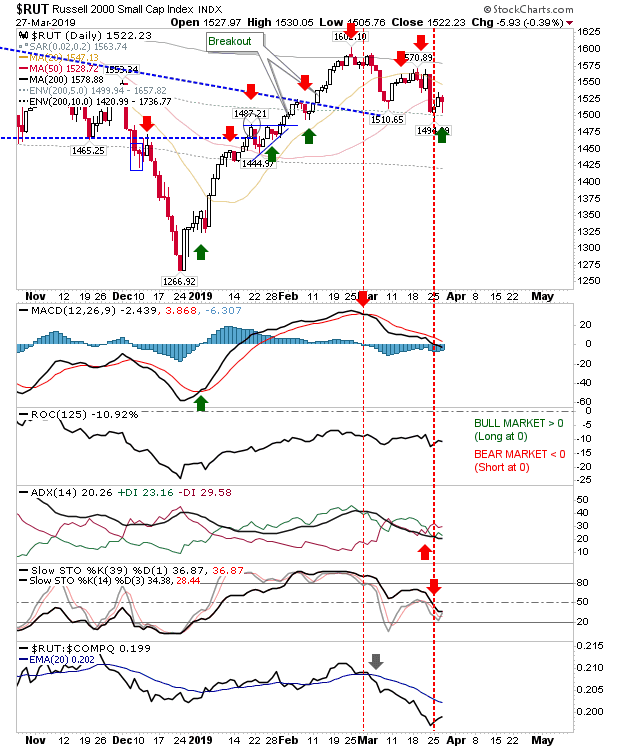 For tomorrow, look for the Russell 2000 to lead a recovery bounce but if there is no early morning buying (first 30 minutes) then look the S&P and Nasdaq for further loses.